It is in standard modular design and can be freely separated and combined. The product is in reasonable design, simple to operate, easy to assemble and unassemble. 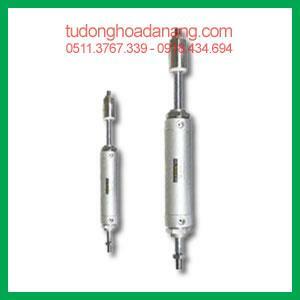 It can meet all requirements of pneumatic system. Even if the pressure and compressed air consumption make system fluctuation, regulator can ensure its working pressure very stable. If there is no air consumption, automatic exhaust of the regulator can also make system working pressure stable. It is in standard modular design and can be separated and combined freely. With reasonable design, easy use, it can meet different requirement in pneumatic systems. LFC triplet type is composed of filter regulator LFR and lubricator LOE. These parts can be ordered separately. Water division filter can filtrate filth, pipe scale, rust and condensate water of the above air. As for special application, 5um filter element can be easily changed into 40um standard filter element. The filter can filter out the dirt, pipe scale, rust and condensation. It’s used for special occasions, 5 um filter element can be easily replaced of 40 um standard filter element. Filter and regulator combine into a single device. The filter can filter out the dirt, pipe scale, rust and condensation. It’s used for special occasions, 5 um filter element can be easily replaced of 40 um standard filter element. These high pressure air source treatment are self-developed products, specially designed to be used on high pressure condition, been adopted widely in high pressure pneumatic equipment such as Blow Bottle Machine.